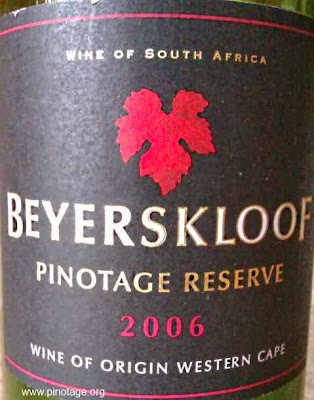 Top rated Pinotage producers in 2013 are Beyerskloof, Kanonkop, KWV, L'Avenir and Rijk's, according to Mike Froud at Top Wine SA. 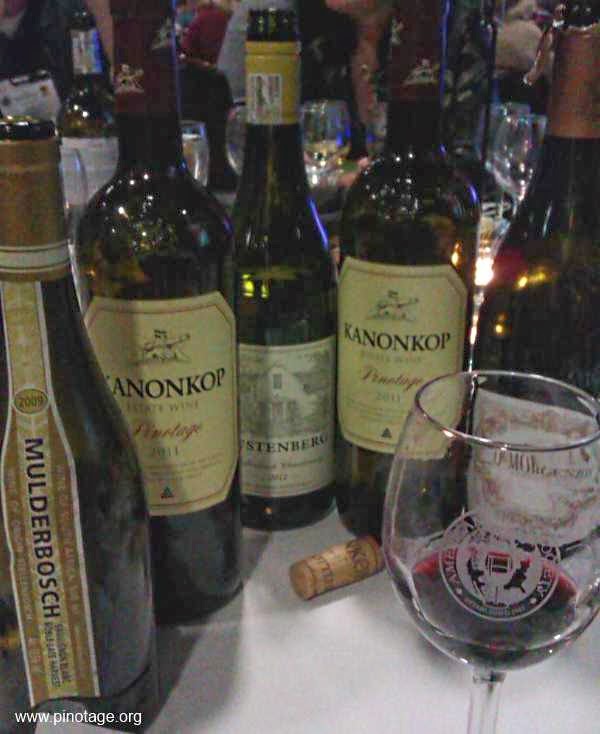 Mike collates scores awarded during the year to South African wines by judges at blind-tastings around the world during the year. 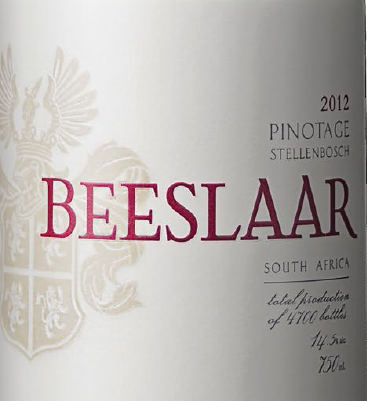 Just announced are the ten finalists of the Perold ABSA Cape Blend Competition. 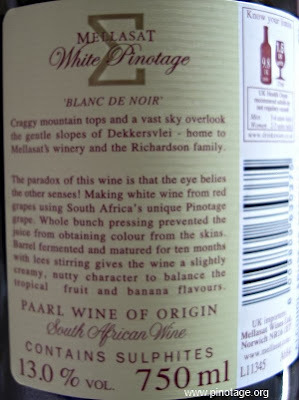 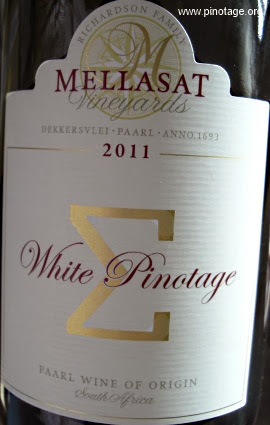 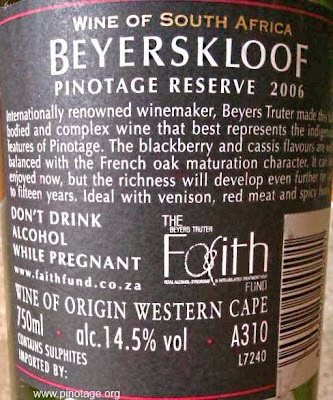 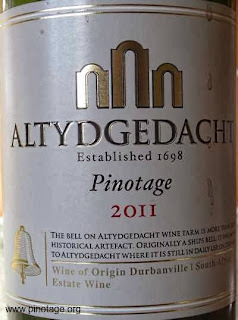 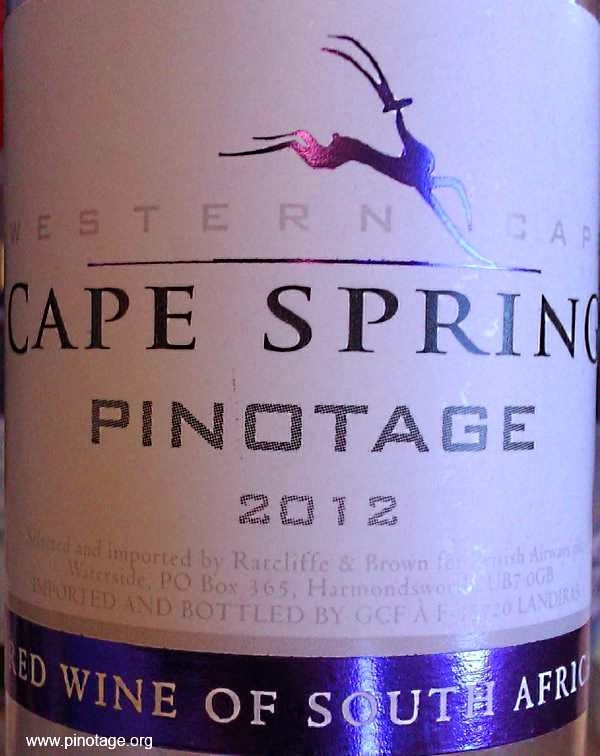 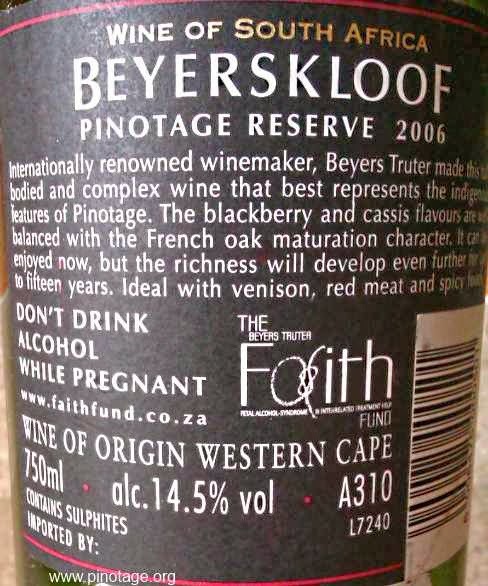 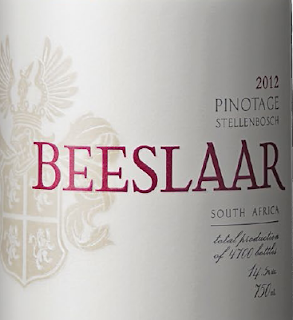 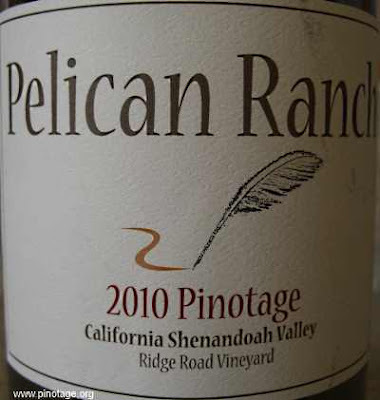 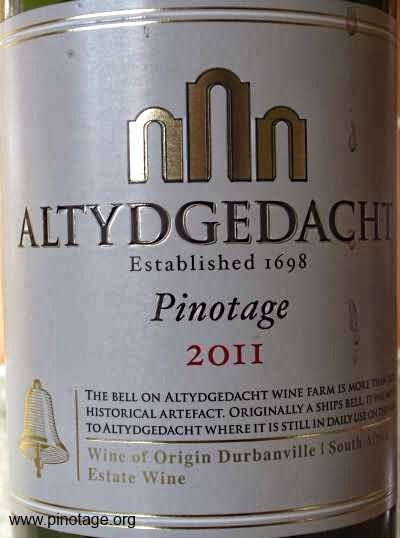 Cape Blend rules requires minimum of 30% and maximum of 70% Pinotage in the blend. The three winners and two runners-up will be announced on 20 September 2013. 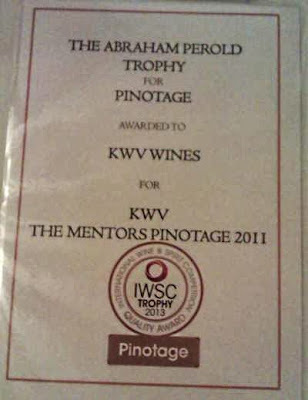 This year's finalists KWV and Windmeul were winners last year with their 2010 Cape Blends. 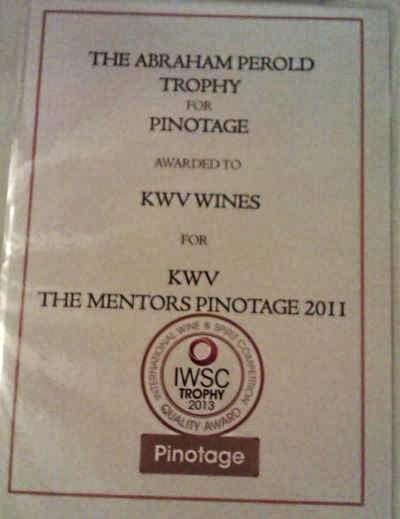 Now comes a world first from Canada: Pinotage Icewine. 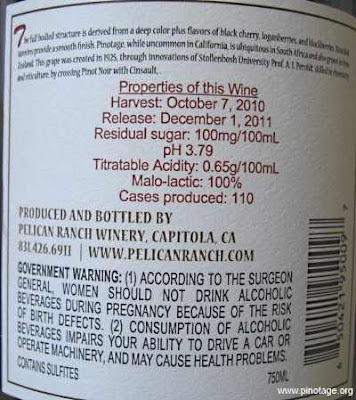 Stoneboat Vineyards, near Oliver in British Columbia’s southern Okanagen Valley, picked their frozen grapes on 11 January 2013 at minus 11 degrees Celsius (12.2F) and 39 Brix. 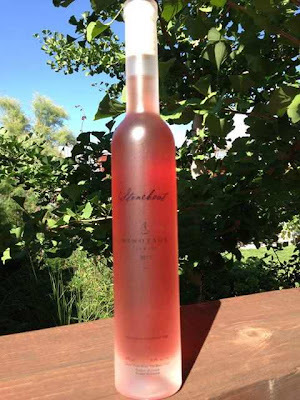 The resulting icewine, sold in a frosted half-sized bottles, is a lively pink colour with 8.3% abv and residual sugar of 230g/L, TA 12.3 g/L and pH 3.43. Stoneboat Pinotage Icewine 2012 is available at the winery for $74.90 CDN per 375ml bottle. 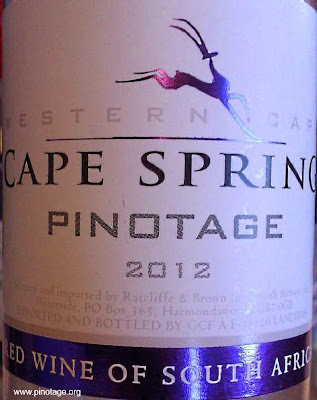 Among the well known names and previous winners is a name new to me of which I know nothing, - Black Elephant Back Roads Pinotage. 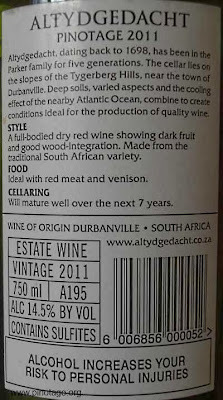 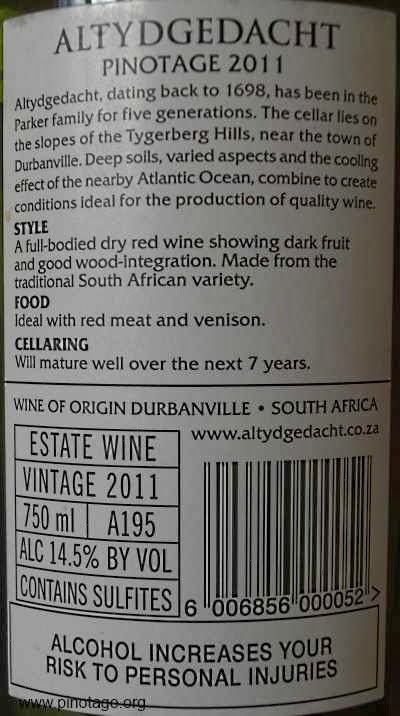 Also new to me is the Wine of Origin (WO) 'Kusstreek' which I cannot find on any WO list but according to Google translations Kusstreek is Afrikaans for 'Coastal'.